2016 CQC Report, Tisbury Surgery has been rated outstanding for Caring. 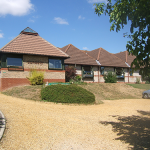 We are a two doctor partnership based in Tisbury, serving the surrounding villages. Our Surgery was purpose built in 1987 and extended in 2003. We are contracted to NHS England and offer a comprehensive range of services under the NHS to all ages, a full range of family planning services including contraceptive coils and implants, maternity care, immunisations and developmental screening for children. We carry out minor surgery. We are a teaching practice which means that we may have a trainee GP or “registrar” working with us for six or twelve months. How likely are you to recommend our surgery to friends and family if they need similar care or treatment? Please can you give the main reason for the answer you have given?